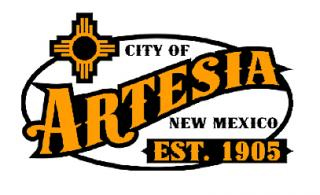 The Artesia City Council will hear a request for additional Lodgers’ Tax funding for the return of the Main Event Car Show and Cruise amidst an otherwise light agenda Tuesday. Hayley Klein, executive director of the Artesia Chamber of Commerce, will make the request for $5,500 in addition to the original request of $11,000 approved in February 2018. The extra funding will be used for additional advertising for the car show and cruise – which was not presented in 2018 – with the condition that $500 be used on social media promotion. The event is scheduled for March 29-30 in downtown Artesia. Also on the agenda is a request by the Infrastructure Department for consideration and approval for the amendment of Septic Waste Disposal Charges and Operating Hours and rescinding of Resolution 1340. City Clerk Aubrey Hobson will request consideration and approval of a resolution concerning the water bills of federal employees during the ongoing government shutdown and a resolution amending the Open Meetings Act resolution to address transparency in electronic communications. The meeting is scheduled to begin at 6 p.m. Tuesday, Jan. 22, in Council Chambers at City Hall.